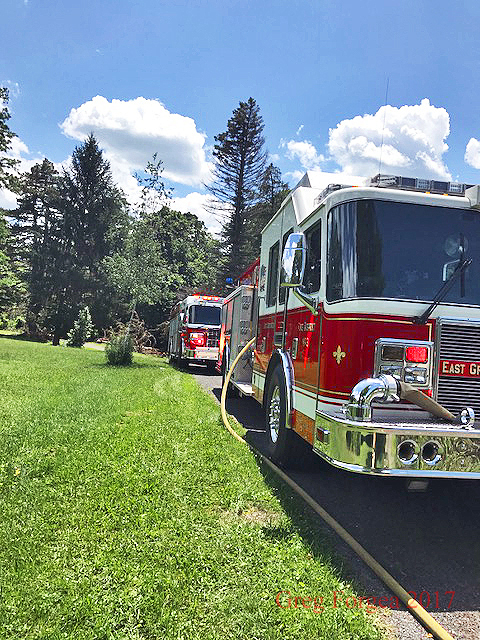 At approximately 1pm on Sunday the East Greenbush Fire Department was dispatched for a reported riding lawnmower on fire endangering a structure. Car 2 (Tooker) arrived and reported a fully involved mower approximately 10ft from the structure. 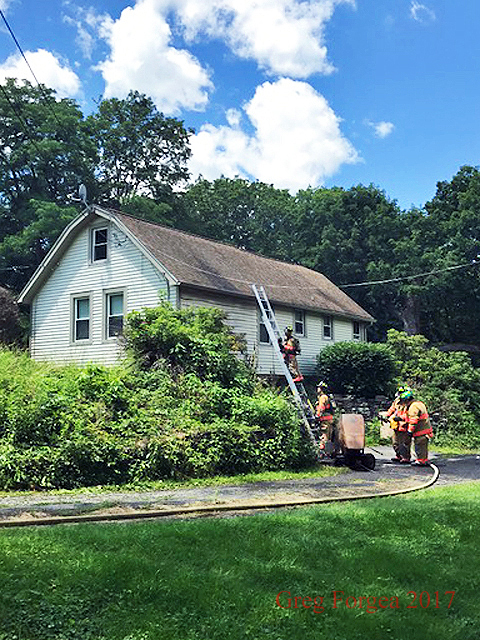 Engine 9 arriving first due stretched the 200ft crosslay knocking the fire down quickly. 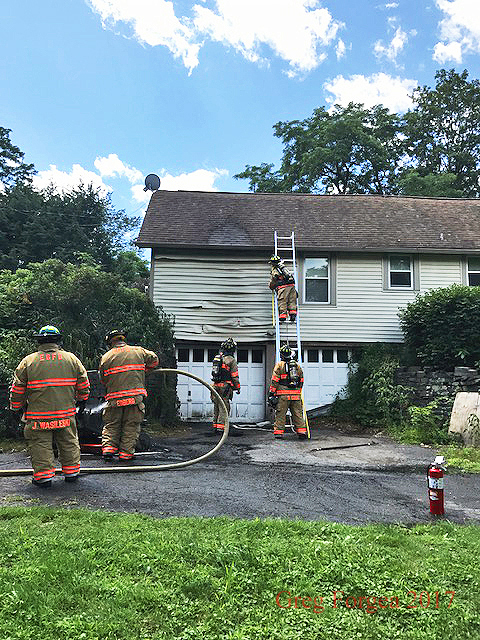 Additional arriving units (E7 and T-11) deployed manpower up to the scene to conduct overhaul and check for fire extension. Negative extension was found and crews were placed back in service within the hour. Units operating on scene Cars 2 and 3, engines 7 and 9, as well as truck 11.